The purpose of this guide is to look at the state of traditional, manual accounts payable methods and show how these techniques are now dragging down operational efficiency in 21st-century businesses. The guide goes on to explain how certain modern technologies applied to accounts payable methodology can streamline the process and how a comprehensive accounts payable automation plan can significantly boost performance. With the information in this guide, you will learn some key concepts for transitioning a manual-based accounts payable system to modern, integrated, digital AP automation software. It is nearly impossible in modern business to avoid bringing accounts payable data into a digital format. So at some point, the information on a form or receipt will have to be keyed into a computer. Data entry is one of the most common places for an error to creep in, simply due to the volume of information and the human factor. Mistakes are inevitable with this method. A study conducted on the use of spreadsheets found that 88% of the documents examined suffered from some type of data entry error. During a particularly busy period or one in which there is insufficient staff to deal with the volume, the need to rush exacerbates the chances of including errors. Manually entering data, even with a touch-typist that can handle 100 words per minute, is slow. Moreover, for companies that don’t have a person with that level of clerical skill, it is slower still. That is due to simple human limitations of how much can be typed in a given period, with only one pair of eyes and one mind to process everything. On top of this, people often develop their own methodologies or “shortcuts” to get work done faster. It’s not unusual for these methods to yield inconsistent results as different people handle accounts payable data in different ways to get through a pile of work. In other cases, different clients using their own invoicing systems, rather than a standardized one, can also slow things down. Another major challenge with manual AP processing, especially much older, more established systems, is that it takes up a lot of physical space. Numerous documents, if still required, must be preserved somewhere, which means valuable physical workspace is used purely for archival purposes. On top of space issues, even a dedicated, meticulous filing and storage system doesn't guarantee easy retrieval of data when required. In the same way that books can be easily misplaced in a library, despite the established Dewey Decimal System, errors occur in accounts payable filing and documentation. 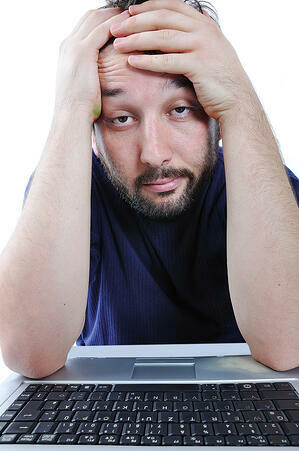 One incorrectly filed document can take a long time to retrieve later. Finally, the most serious issue with manual AP processing is that fraud is easier to commit within this system. Accounts payable is a vulnerable point in company finances because it is where funds can enter or leave a business. Therefore, an unscrupulous employee with the right knowledge can hide or redirect funds at this critical juncture, costing a company both time and money. Anti-fraud measures are much harder to implement in a manual system where there are more "blind spots" to exploit. A company may be using physical archives and digital storage at once. It may share the tasks across departments. That means data is spread broadly, in different standards and formats, and sometimes even using different organizational systems. This operational plan makes it difficult to organize all relevant information and share it effectively. In a manual system, the isolated nature of storage and organization means that retrieving specific pieces of data when needed can never be fast. Without a central and standardized system, and with individual departments using different storage and retrieval methods, you add more downtime to any data request. For decision makers, having access to good information is critical. 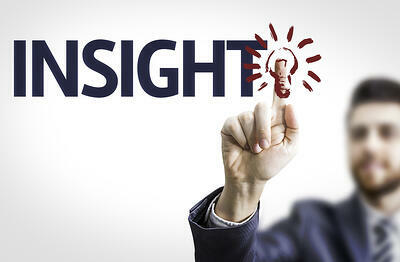 Looking back at trends or figures over the months or years is impossible without a concerted research effort. Valuable, actionable data that can lead to smarter operational decisions is hard to extract from a manual system. The main issues with manual or paper-based invoice processing are the relatively slow speed and isolation of each step. To increase efficiency, especially in ways that reduce time, streamlining these operations can make a significant impact. For example, one area where unnecessary time is often consumed is right at the start with receiving and inputting invoices into a system. 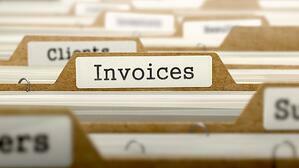 An invoice may be personally delivered, mailed, or emailed. That invoice might then be processed by hand and archived away in storage, or it may need to be entered into a digital system. This second method requires data entry and then an assessment by the appropriate staff or decision makers so it can be reviewed and approved, which may require retrieval, reprinting, or some other form of access. Changes can be made at key points to improve this traditional process. Getting rid of hand-delivered or postal-mailed physical documents and accepting only digital invoices will speed up the reception process. Rather than manually keying a physical document’s data into a digital system, invoice scanning can be used to read and automatically enter the data into the system quickly. Finally, data stored in a system can be put on a centralized data network that is easily accessible to relevant staff who need to view documents for processing. All of these different steps may fall into the category of accounts payable automation. However, it is the synergy between separate digital processes that truly push the efficiency of accounts payable automation to provide big benefits. Accounts payable automation is the process of taking regularly recurring, repetitive, almost mechanical tasks, and then allowing some kind of software solution to take on the monotony of this job. Relying on technology will free up valuable, versatile human resources to work on more value-added activities within the company. Most people are familiar with automation at a physical and industrial level. The robots on an assembly line, putting together automobiles, for example. These companies take the repetitive task of performing the same motion over and over again and allow a machine to do it, with identical, reliable results every time and no variance. However, it’s not just physical activities with specialized hardware that can do this. Data-related activities also have simple, repetitive activities, and accounts payable automation can add efficiency to some or all of the processes, with the right suite of document management software for accounts payable. It is important to note that every company will require a specific, custom solution for accounts payable automation. There is no “one-size-fits-all” solution for this type of automation that benefits every company in the same way. One of the most dreaded notices a company may receive is an audit. A government-ordered audit requires many documents to be sifted through, organized, and supplied to the auditor. Most companies are caught off guard by an audit and end up hoping that everything is accounted for. To avoid being surprised or reprimanded, an accounts payable automation system can take a big chunk of the logistical nightmare away from this demanding, organization-intensive activity. 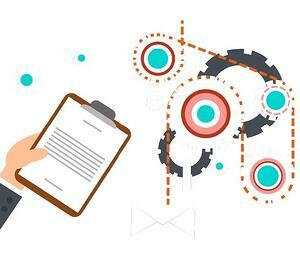 With proper AP automation that correctly organizes and files data and then notifies all relevant parties of transactions in need of review, approval, and filing, things no longer “slip between the cracks.” Your company’s years of carefully processed and archived data can be easily retrieved, whether for internal review or to comply with audit requests. One of the most straightforward reasons to outsource work is to lower costs. Work that is handed off to less developed nations is often done at lower pricing, and thus businesses recoup their losses by paying for the same amount of work with fewer dollars. 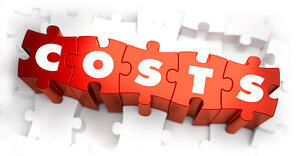 However, outsourcing lowers costs by lowering the prices paid. It does not necessarily improve, or even maintain, the quality of the work or increase efficiency. AP automation solutions are a way to lower costs by increasing efficiency. By spending less time processing, approving, retrieving, and managing data, the company will spend less money overall. Why pay less for inefficiency, when an AP automation solution enables you to spend less and receive a better output? The American Productivity & Quality Center noted that “36% of organizations say their financial processes are misaligned,” and this resulted in lower performance that had a widespread impact on the entire business. The study also noted that poor access to internal financial data led to a 3.3% error rate in sales forecasting for these companies, versus a 1.5% error rate for business with better-managed finances. In some cases, there were even reports of a 1% loss in sales due to poorly managed financial systems, such as the accounts payable department. Accounts payable automation can be a crucial part of an enterprise’s resource planning and help to reign in systemic inefficiencies. Key features such as centralized, accessible data in the cloud or automatic notifications of receipt, processing, and approval can make a big difference in how quickly transactions are completed and reported, making for faster, better financial data. Many choose an AP invoice automation to lower costs, save money, and get more “bang for their buck.” How exactly does an accounts payable automation solution achieve those things? There are a few key indicators that show where the savings occur. In a survey conducted between bottom performing business and top performing businesses, comparisons were made between how each handled its finances, which revealed some telling details. Bottom performing businesses, on average, showed that a total of 2.13% of their revenue had to be diverted to managing financial processes. Top performing businesses only had to dedicate 0.57%. In bottom performing businesses, a total of 21,232 invoice line items were processed per FTE. However, the top performing businesses doubled that figure, with 46,667 line items processed per FTE. The gains of businesses effectively taking advantage of resources are massive. When a bottom performing company was confronted with an invoice error, it had an average cycle time of seven days to correct that error. However, top performing companies managed to handle an invoice error in three days or less. The longer an error persists in a financial transaction, the more harm it can potentially inflict on a company’s financial health, not to mention its reputation. And finally, there is the actual cost of processing accounts payable manually, versus AP automation software. Bottom performing companies, on average, spent $12.50 per invoice, at the cost of $0.64 per $1000 in revenue. Top performing companies, with better-automated solutions in place, spent only $5.00 per invoice processed, and only $0.11 per $1000 in revenue. Over a long enough timeline, these small inefficiencies and savings add up. Some businesses will hemorrhage money unnecessarily while smarter choices lead to more sizable savings for others. AP automation means that the average, run-of-the-mill invoices that never cause a business any issues, but merely take time to receive, process, and store, can be safely done by the software and not a valuable employee. Powerful human resource efforts can instead be directed to something that requires expertise and judgment such as a problem invoice or some kind of improvement. There’s no point in devoting employee efforts to a routine task that can be easily handled by invoice processing automation when knowledgeable expertise may be required for crisis management or generating more business. The transparent, easily accessible nature of accounts payable automation provides much more security for both a business and its customers. Fraud is more difficult to enact with AP software tracking all moves and changes. Manipulation is much easier to detect when the software is constantly there to flag anomalies and deliberate attempts to skew data. The AP software has superior tracking abilities. When alterations are made within the system’s organized data, whether expected or an attempt at fraud, the system notes who has logged in and made such changes. Good work will always be recognized, and deliberate attempts at fraud or sabotage are also cataloged. 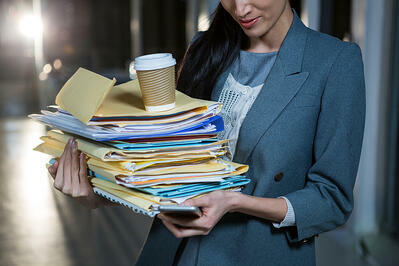 Digital forgery or fraud is much more difficult to execute anonymously than it is when using paper documents. AP automation ensures that even when staff are not in the office, they can access and make changes to data as needed. Cloud storage with proper security allows deletions, additions, or new transactions to be conducted in the centralized system. Once a change is completed, everyone who has access to the file is automatically notified. Any processing or approval can then be made, and upon completion of the action, a notification can automatically be sent to relevant parties. In the same way, any business data that might be required can be called up on a smartphone if the staff member is authorized and has access to the right software. So even if a meeting abroad suddenly requires an extra bit of financial information, the data is there. When integrated with optical character recognition, scanners can be used to process physical documents and enter them into a digital system, eliminating the need for time-consuming manual entry that brings the risk of errors. If invoices are sent digitally, they can be automatically entered and processed into a system upon receipt. AP automation reviews all documents and flags errors. So routine invoices that don’t raise red flags are quickly dispensed with, not requiring human intervention. Staff only have to focus on exceptions or problems that require real human ingenuity, not on fact checking to ensure everything is in order. With manual systems that have physical archives, time and resources need to be spent tracking down desired documents and then replacing them later. With AP automation, data is centrally located and can be retrieved by any authorized personnel and on any capable device. AP automation can always benefit a business, but the precise way will vary from business to business. The accounts payable demands of a marketing agency are different from a software development studio. Find out where you need to improve and look into an AP automation solution that will meet your specific needs. Don’t settle for a one-size-fits-all solution; it won’t fit. Don’t just consult management on what can improve operations, talk to the employees who will actually be using the systems. Management may not know what accounts have specific needs that already aren’t being met but talking to employees may help you determine the right AP automation to implement. Taking the “waterfall approach” of installing everything in one day is a recipe for inefficiency. Instead, introduce systems one at a time, getting users acclimated before adding on another component. Integration is much smoother when it’s done in stages. A massive tidal change that removes everything familiar and demands instant adaptation will add stress to your workplace, and the business may suffer. Accounts payable automation can be an incredibly effective tool to increase efficiency concerning company finances. Executives need to take the proper approach and have a clear understanding of their unique needs to implement a suitable AP automation solution.